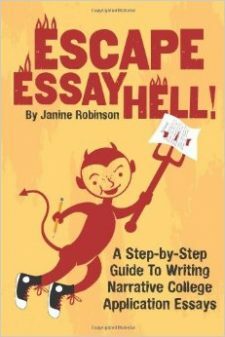 Here’s an excerpt from my ebook guide on how to write a college application essay using a narrative, storytelling style. I pulled this from my chapter on writing conclusions. Some students find ending their essays a snap, others get a bit lost at the end and veer off track. What you want in your conclusion is to give your reader a sense of completion, and leave on a broad, forward-thinking note.